“Waldmeister” bowl also called May bowl is the ultimate spring drink. The aromatized wine is made of the herb woodruff (in Germany known as Waldmeister) and a white wine. The herbs give the drink a fine flowery aroma -The ultimate spring punch. Waldmeister (woodruff) is a plant that is typical for spring season. The May herb is blooming between April and June. It `s fine aroma is used for syrups and drinks. The flavor of Waldmeister becomes richer when the herb is wilted for some hours. Fill a wide glass jar with white wine. German “Riesling” is typically used for the bowl, but you can also use any other halfdry wine. 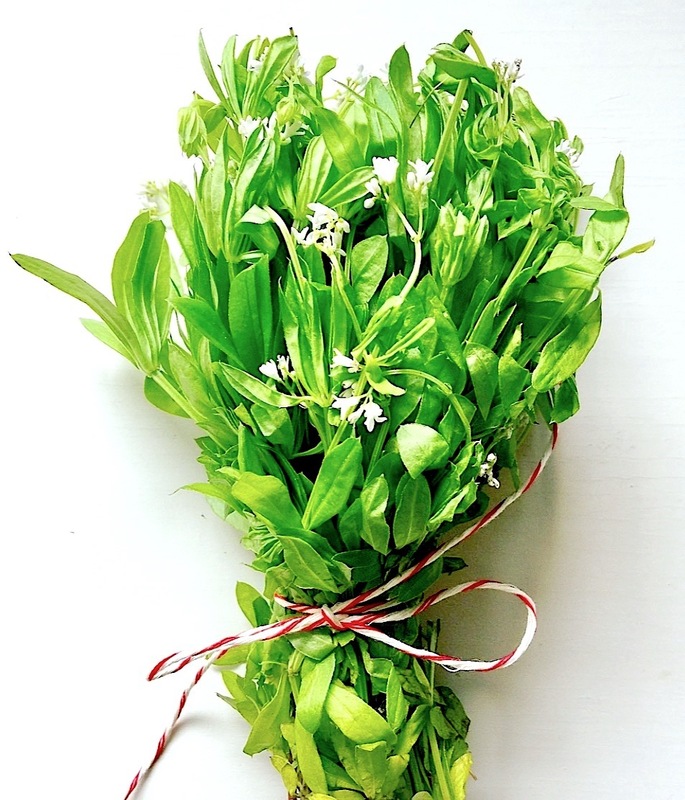 Hang a bunch of Waldmeister (woodruff) into the wine. You can use a chopstick & a string to fix the herbs. Make sure that only the leaves soak in the wine. Leave it for about 30 minutes. If you like, you can sweeten with some sugar. Remove the herbs & add the champagne – ready is a May bowl with a fine spring aroma. Posted in Food and tagged bowl, Food blog, maibowle, may, may bowl, recipe, spring, Summer Drink, sweet roodruff, Waldmeister. Bookmark the permalink. I have never heard of sekt before? I am in the US.